LinkSprite Canyonlands: an Intel Intel Atom Z3735F Quad Core, 2GB DDR3, 32GB eMMC, WiFi, Windows 8.1 mini PC. 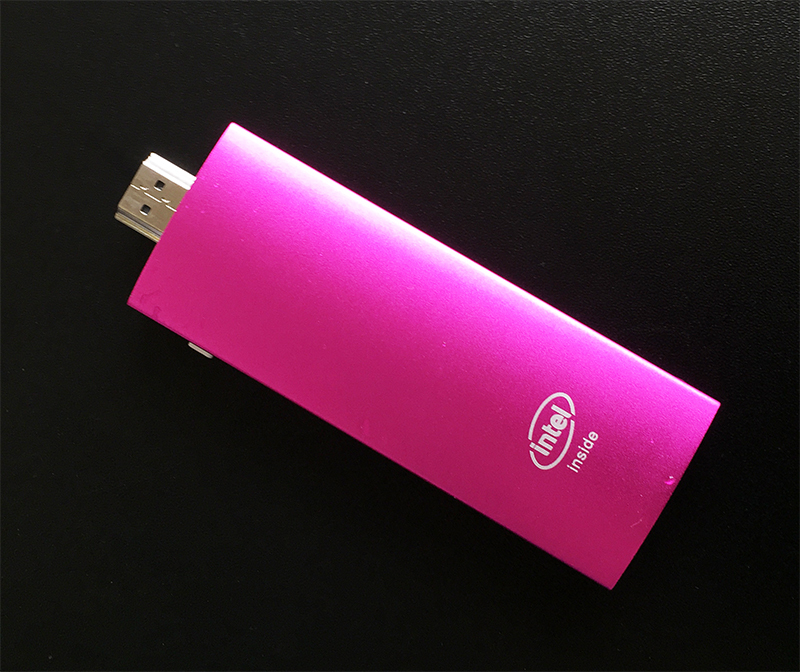 Transform your HDMI-ready TV or monitor into a fully functional computer with the Intel Compute Stick. Configured with a Intel Atom Z3735F Quad Core Processor, Windows 8.1 with Bing, 2GB memory, 32 GB on-board storage, WiFi, and Bluetooth. 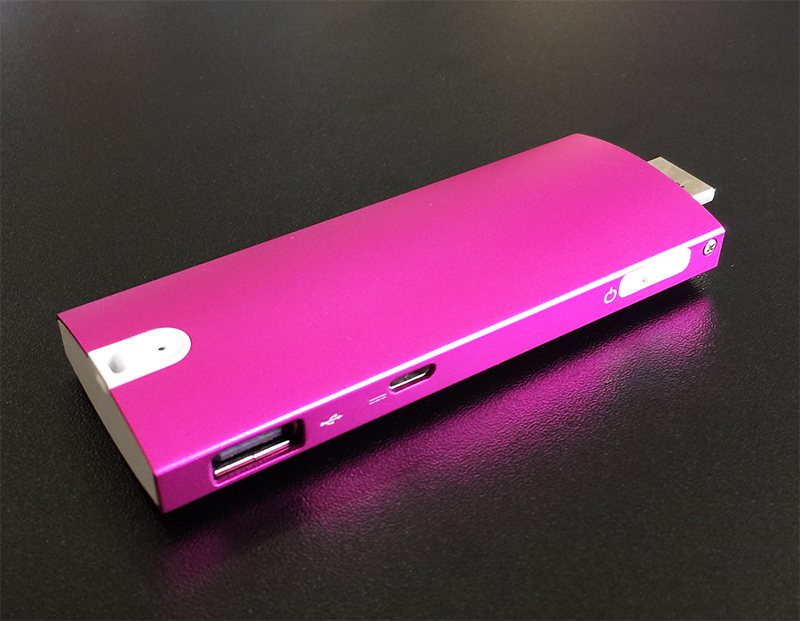 Powered by an included USB-power cable adapter, this is a computer compact into a small stick.